Elena formed a love for the international development field while working on health programs for vulnerable children in Costa Rica, Guatemala and Israel. She gained her B.S. in Nutrition and Dietetics and M.A. from North Park Theological Seminary and used that experience to address health disparities in low income communities both domestically and internationally. She now studies public health at the George Washington University while serving Franciscan Works through her skills in financial oversight, communications and marketing. For Joan, the commitment of donors and staff have continuously guided her work for Liberia Mission. She was a Chicago Public School teacher for many years, and is now doing educational research with the Prairie Group at the University of Illinois. In addition, Joan is a church pianist, choir co-director and active member of St. Aloysius Parish in Chicago. Joe is the Board President and brings the most current Liberia Mission insight to the Board. In his five years as Director of Liberia Mission (2011 - 2016), he served four years on the Mission grounds working hands on with students and staff and another year back and forth from the US as our Interim Director. Under his leadership, the Mission enhanced its piggery micro-business, raised its overall reading score, renovated the chapel and many other campus rooms, and advanced in spiritual development. It was under Joe's faithful perseverance that the Mission survived the Ebola crisis of 2014 and the children continue to have a place to call home. Joe brings a wealth of experience in mission life as well as a keen understanding of business development. He graduated from the University of Missouri at St. Louis with a degree in Political Science and retired in 2006 as Vice President Corporate Communications after 23 years with Sigma Aldrich Corporation (Research Biochemicals and Life Sciences). Since then his employment roles have centered on serving others and sharing the Catholic Faith. He currently does both as the Executive Director at the Shrine of St. Therese in Juneau, Alaska. We are pleased to announce that Father P. Sumo-Varfee Molubah has joined the Board of Chicago-based Franciscan Works. Fr. Varfee runs the Catholic Education Secretariat (CES) of the Archdiocese of Monrovia, Liberia, West Africa. Father brings with him tremendous insight into the West African Education System. He guides a centralized Catholic School System, which operates 28 schools throughout Liberia. And some one in this position is certainly a blessing to our Board. Father is a native Liberian who studied in Liberia, Sierra Leone, and Ghana before being sent to Rome to study at the Urbaniana Pontifical University. Father did his graduate studies at the Cuttington University in Monrovia, Liberia. Father Varfee has been an advisor to Liberia Mission for many years. He has served the Mission as a spiritual and administrative advisor to staff and students. He knows our organization well and was an anchor of counsel during the Ebola Crisis. Father Varfee is a great collaborator and conduit for communication between the Archdiocese of Monrovia, the Government of Liberia and Franciscan Works. He is a wonderful steward and partner as Liberia Mission does its best to operate a safe and productive school, mission and faith community in Liberia. Bob has been a Board Member of Franciscan Works for 12 years, and was board president for 8 years. He is a recently retired Network Engineer. Bob demonstrates a deep commitment to youth as is evidenced by his 30 years as a volunteer with the Boy Scouts of America. His mission experiences began in 2003 when he traveled to Honduras and was deeply affected by the pervasive poverty there. He has been working with Franciscan Works since it's creation, and has traveled to the mission several times. Bob and his wife Kathy are both actively involved in raising needed funds for our mission through mission appeal talks and by hosting events in their home. They are both professed Secular Franciscans for over 40 years. Bob and Kathy are actively involved in various ministries at St. Terrence Catholic Church in Alsip, Illinois. They enjoy spending time with their children, grandchildren, friends and extended family. Fr. Don Halpin, OFM Conv. Fr. Don is a Board Member and Spiritual Advisor for Franciscan Works. His ministry as a Conventual Franciscan has taken him throughout the U.S. and to Africa. Retreat ministry has been the focus of his ministry for many years, including retreat centers of his Franciscan Province and parish missions. From 1996 to 2008, he was director of Assisi House, a house of prayer at St. Bonaventure College, Lusaka, Zambia. His experiences in Africa took on travel with work in Ethiopia, Uganda, Kenya, and recently Liberia. He has visited Liberia Mission five times in the last few years and is awed by the Spirit of the students, teachers, house mothers and house fathers there. Fr. Don now lives in Louisville, KY at a Ministry of Spiritual Direction, St. Francis Priory. Chara has over 15 years of experience in the strategic development and implementation of programs in the fields of international development and social change philanthropy. She is the owner of a boutique non-profit consulting firm, The Itoka Group. Chara has expertise working with governments, the United Nations, nongovernmental organizations and local communities in the U.S. and the Global South. A proud Liberian, she is passionate about grassroots sustainable development, social justice and the promotion of traditional textiles.She holds a Bachelors of Arts in International Affairs from the American University of Paris and a Master of Science in Forced Migration from the University of Oxford. Chara is a Human Rights Commissioner for the City of Cambridge, co-founder of PISO Collection and founder of Indigenous Collectives. Monica served as Franciscan Works Executive Director 2009 - 2013, a time of significant change and development. Now as a Board member, she is grateful for the opportunity to witness the growth of Franciscan Works as it seeks to fulfill the mission of service in Liberia. Monica brings a true passion for social justice, community building, and empowerment to the Board. Her interests in these fields began while studying Sociology and Religion at Colorado College and while volunteering - first in Portland, Oregon, through the Jesuit Volunteer Corps, and then during solidarity/service trips, both long and short, to Honduras and Central America. With a Masters from the University of Chicago School of Social Service Administration, Monica also contributes a breadth of experience working for social change in direct social service, community organizing, research, public policy advocacy, nonprofit administration and program development. 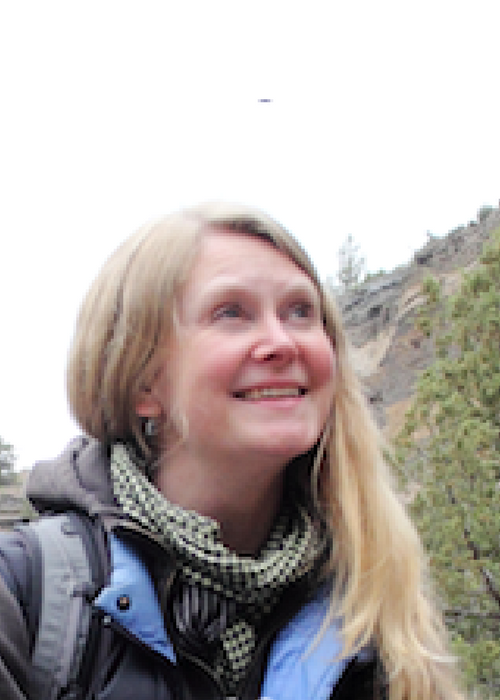 Now residing in Bend, Oregon, Monica continues to volunteer with the following nonprofits as strategic consultant: Central Oregon Homeless Leadership Coalition, Base Camp Studio, and Jesuit Volunteer Corps Northwest. When Monica is not volunteering or chasing her two young children, she is out on the trails with her family and sweet old golden retriever exploring the abundant beauty of Central Oregon. Amy first joined Franciscan Works in 2010 as a program coordinator at Liberia Mission, where she discovered a passion for child protection. While there, she developed the organization's Policy for the Protection of Beneficiaries. This experience started her on a path to found the Child Protection Toolkit, a project assisting international nonprofits to create child protection policies and training. Amy holds a M.A. in Peace and Conflict Studies at the European University Center for Peace Studies and a B.A. in International Relations from Saint Joseph's University in Philadelphia, PA. She lives in Washington, DC with her husband, Mat. They enjoy playing games, going on adventures, hosting visitors, and eating ice cream. Please join us in welcoming Quinn Eide as our newest board member. His desire is to bring greater awareness and financial support for the children of Liberia Mission. Prior to his involvement with Franciscan Works, Quinnheld an active role with COAP (Christian Outreach for Appalachian People) and helped in the development of several Corporate Partnerships with the Greater Chicago Food Depository. He works as Director of Development for Wyndham Hotel Group within the Midwest and lives with his wife Lauren in Chicago, IL. is our angel in Heaven. Although she passed away in April 2013 after a two-year battle with cancer, we consider sweet Jennie an eternal member among the Franciscan Works Board of Directors. Jennie worked tirelessly for over a decade on behalf of the children of the Missions, touching countless lives on three continents and raising well over half a million dollars. She continued raising money and awareness for the Mission until her final days on Earth. She was an invaluable presence on our Board and an incomparable woman of faith. Jennie and her husband, Deacon Eddie, were members of St. John the Evangelist Catholic Church in Prairieville, LA, where Jennie also shed her light among many parish ministries. Although Jennie is no longer with us in this world, we are confident she is watching over our Mission children in the next. We often call upon her sweet soul in prayer to intercede for us to Jesus on behalf of the Liberia Mission children, whom she never met but so dearly loved.